The year is whizzing by & before we know it, it will be June already. 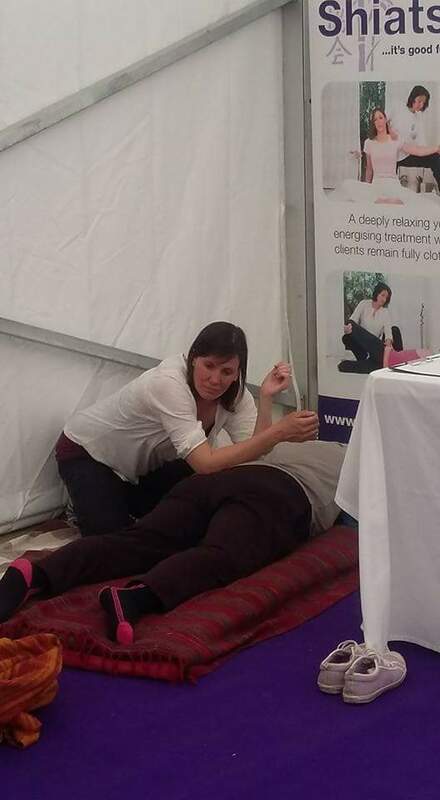 My colleagues & myself will be giving Shiatsu massage tasters at Exeter Respect Festival again. We are going to be in the healing area this year, which is a little away from the noisy main stage & community stalls. The tasters will be 30 minutes long, so not much less than a full treatment. I have lots of clients who have come for a particular complaint, they’ve had an accident or sustained an injury for instance. Shiatsu can be great at relieving symptoms such as pain or discomfort. I also have clients come for Shiatsu massage for their well-being. They are really good at looking after themselves, they have a healthy lifestyle, they exercise & eat well. They often practice yoga or qigong or meditate. They are looking for some outside support, they can do a certain amount themselves but they know when they need a little extra outside support. Shiatsu is great for an energy boost. It works to re-balance the energy in the body, this re-invigorates & re-energizes the client. Shiatsu massage can give a sense of flow & fluidity in the body, things that felt difficult to acheive before a massage can happen with ease afterwards. A Shiatsu is a relaxing experience. It is time out, a chance to just lie & rest. Shiatsu is enjoyable, it is gentle but can be strong when a client suits it. It can release shoulder & neck tension. It can make the body feel stretched & loose. It reminds the body of how it should feel! There is at least 40-45 minutes hands-on massage in a treatment so plenty of time to breathe, rest & just be. I work in a quiet treatment room in Exwick, Exeter. It’s easy to get to me by car, bus or train. I work Wednesday’s & Saturday mornings. 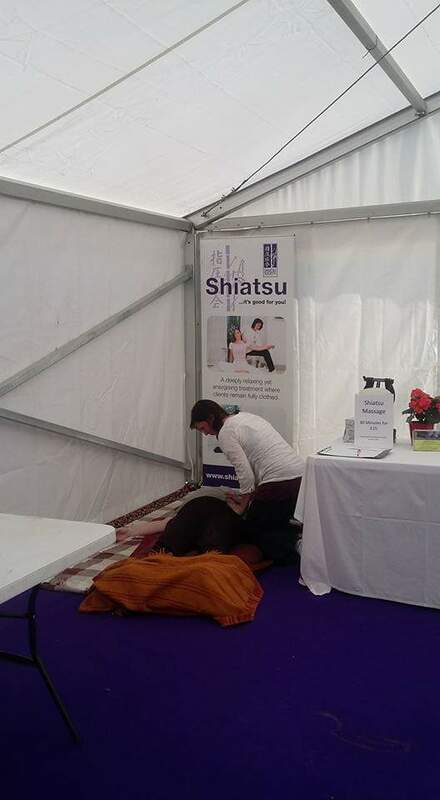 I’m always happy to talk Shiatsu so any questions get in touch, through the ‘contact me’ page. 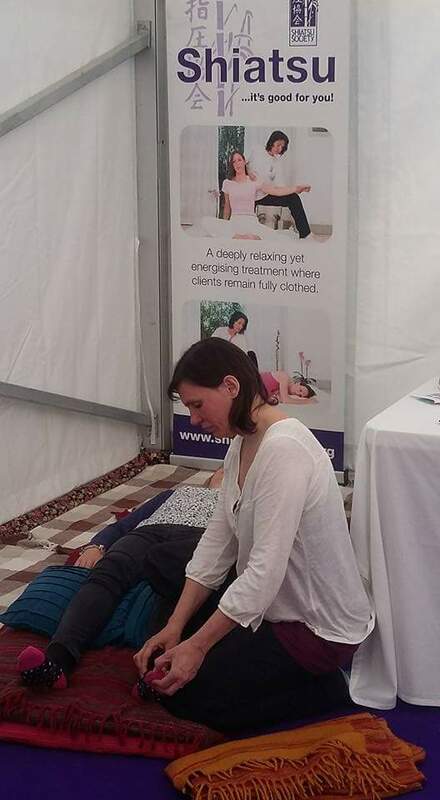 Because Shiatsu is a gentle but powerful form of massage it can be really helpful in supporting people suffering with stress & stress related conditions. I have had clients come for Shiatsu massage because something has happend at work that has completely knocked them. Clients have come because they are suffering from stress due to a relationship they are in, or a pattern of relationships. They have come for Shiatsu because their relationship is breaking down or has broken down. Shiatsu treatments start with a consultation in which the client can voice their reasons for coming & the concerns they are feeling in their life. This is a safe & confidential space, as is the whole treatment, & the client may already begin to feel a sense of ease & relief. Some clients chose to say little in the consultation & this is completely fine. Shiatsu touch is safe & supportive. It can put the body at ease & the mind will follow. Shiatsu massage gives space to the client to feel how they really are, whilst being held. Our bodies hold our emotions & stresses, so physical touch can find those places of tension & strain & help to release & relieve them. Sometimes there is a release of emotion at this point & the client may cry or laugh or breathe deeply in then out. After a treatment clients have noted their sense of relaxation & relief. They have also noted where their stress being held & some recommendations can be given on exercises or lifestyle changes that may help keep the area loose. Clients have also mentioned that Shiatsu has given them a sense of ease or a sense of flow. Things happen for them more easily, rather than pushing to acheive things. It is possible to see a noticeable change to stress levels after just one Shiatsu massage. Often it takes 2 or 3 sessions to see more of a change. Clients have felt a sense of relief from their stress after treatments, but only for a period of time. After each Shiatsu treatment the sense of relief is longer. It is desirable to have the sessions as close to each other as possible, weekly or fortnightly. As the course of Shiatsu treatments goes on the sessions can spread to further apart. If you are suffering from stress than do feel free to get in tiuch through the ‘contact me’ page. A Shiatsu treatment costs £30 or £35 depending on what you feel you can afford. The sessions are one hour long.